Gabrielle Hanna, who is professionally famous as Gabbie, is the dream girl of many. The 28-year-old comedian, as well as an accomplished actress and YouTube sensation, often comes to the limelight, because of her love affairs and relationship. After Gabbie Hanna's high-profile break-up with her 'pathological liar' ex-boyfriend, fans are making their eyes hopeful on her. Is Gabrielle dating someone or married secretly? What's her relationship status? Let's find out. From the internet sensation's prominence in YouTube, Gabrielle Jeannette Hanna is surely known to all, either because of her therapy videos or her on-going relationship. Yet, Hanna tends to remain cryptic about her personal life. Gabbie Hanna with her friend. 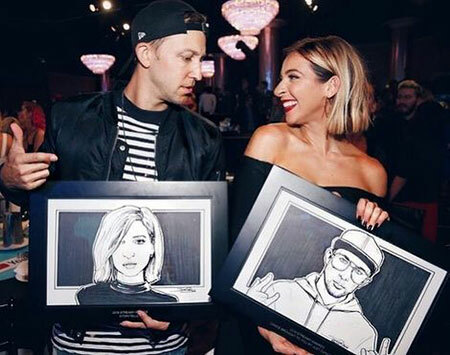 Despite her fabulous career which obviously garnered a massive fan-following, Gabbie seems to be tight-lipped, as what it looks like she's currently single for years now. Recommended: Is Actress Aubrey Peeples dating her Nashville co-star? Following the breakup story with her secret boyfriend, details regarding her relationships and love affairs are in the dark. As of April 2019, reports on Hanna's relationship status is out on the spotlight. Neither she's dating anyone nor there are reports about her being married. i look like a cartoon. Even though Hanna shares some of the adorable posts with hunks including Shane Dawson amidst her 3.8 million followers on Instagram, she is yet left to officially claim her relationship with any of them. Surprisingly, she refers to all of them as just her friends and nothing else. In the meantime, the Monster singer, who is allegedly single, currently focuses on her career rather than indulging herself in a romance with her boyfriend. As a matter of fact, Gabbie is working on her second album after her 2016's debut album This Time Next Year. Also, Read: Michelle Beadle is dating boyfriend Steve Kazee. Will they get married? Until the happy days when she finds her perfect suitor, we just wish a peaceful future endeavor to the lady, hoping she finds the prince of her life pretty soon! She's not dating anyone at present but that doesn't mean she hasn't dated anyone in her past. Before she chose to remain single, she lived in a romantic relationship with her boyfriend, who she fears to name. But, recently in one of her videos, she gave a clue about her ex-boyfriend who's abusive to her. The elder sister of social influencer Cecilia Hanna, Gabbie claims that her ex-boyfriend is a 'pathological liar', meaning a habitual liar. In 36-minute long YouTube video, posted on July 14, 2018, on her self-titled channel with over 6.4 million subscribers, Gabbie claims that she dated a lair. You May Read: Charissa Thompson of NBC is divorced. She is now dating with basketball player Jay Williams. Also, Gabbie revealed that she and her then-boyfriend enjoyed blissful dating until she found out the real face of her ex after 6-months. The mysterious then-boyfriend turned abusive and later on, the dirt of his other affairs came out, Hanna told. The former couple was known to be in a relationship until April 2018 but not so long after she found out the truth and broke up with him. She hasn't revealed the identity of her ex. 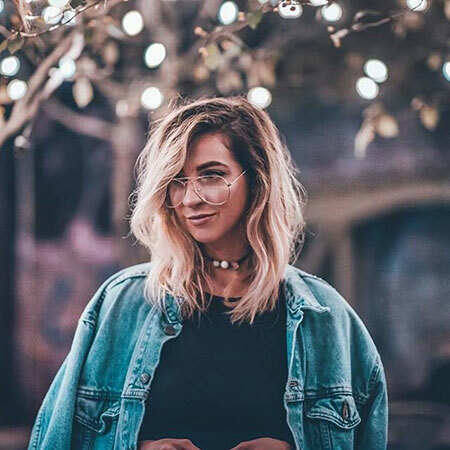 Gabbie Hanna was born on February 7, 1991, in New Castle, Pennsylvania, U.S.
She has six siblings and is of Lebanese, French, and Polish descent. Hanna graduated from the University of Pittsburgh with a degree in psychology and communications. As an actress, Hanna's first major role was in the YouTube Premium series Escape the Night. Hanna released a poetry book titled Adultolescence in September 2017. She openly talked about her struggle with eating disorder, depression, C-PTSD, and body dysmorphia. She won a Streamy Award for the storyteller in 2018. As of 2019, Gabbie Hanna estimated net worth is $2 million.